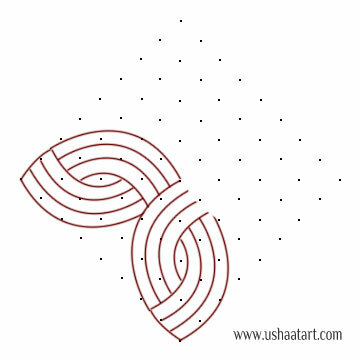 9 – 1 interlaced dots (Idukku Pulli) Kolam. 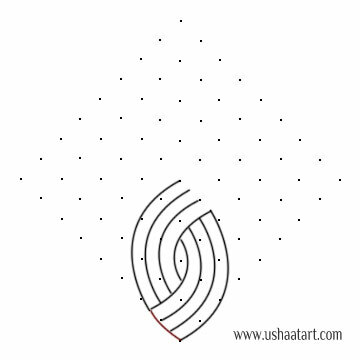 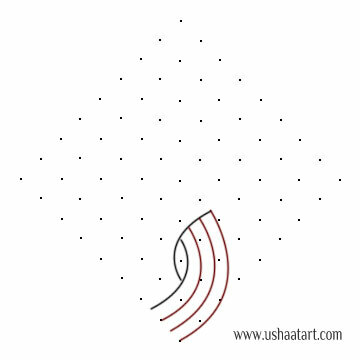 Put 9 dots then interlaced dots (Idukku Pulli) stop at 1 dots. 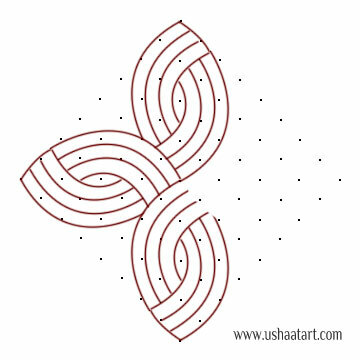 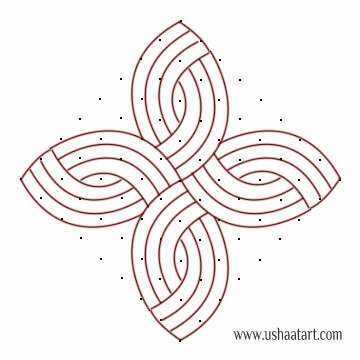 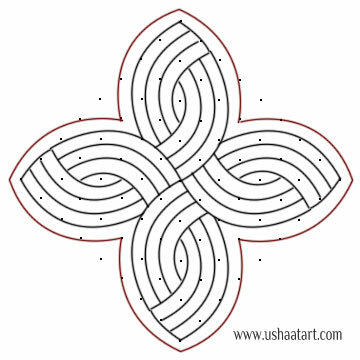 Draw Kolam pattern as shown below. 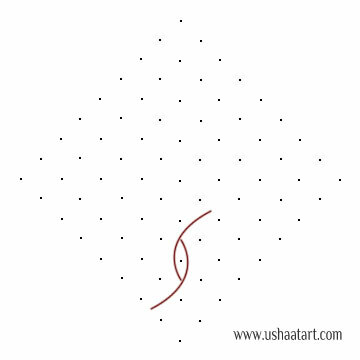 Draw similar pattern at four sides. 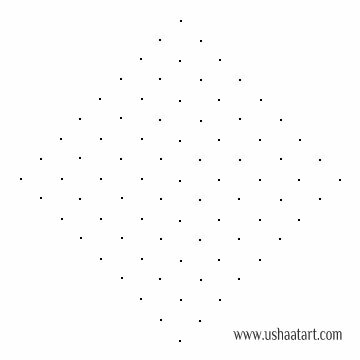 Circle the remaining dots or erase it. 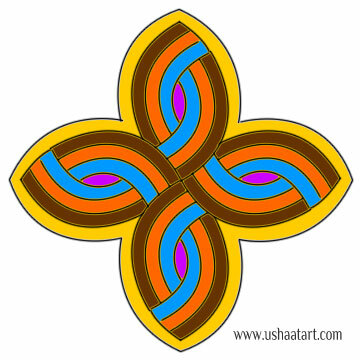 Color the kolam.